Barcelona target Clement Lenglet from Sevilla to boost their defensive options. 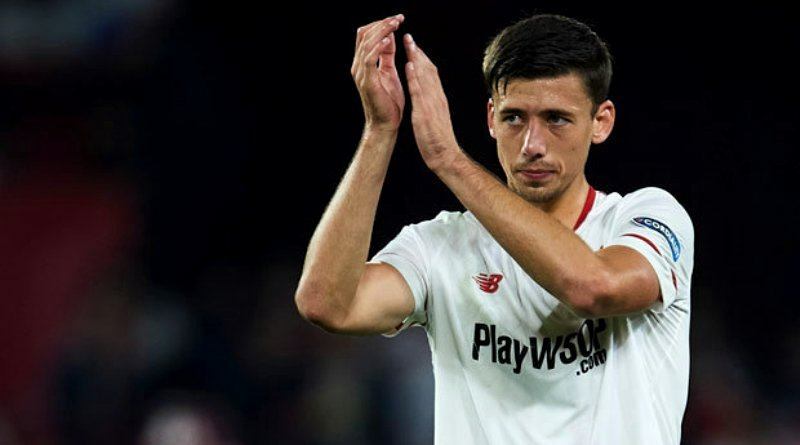 The reports in Spain suggested that Barcelona are keen to land Sevilla defender Clement Lenglet. The France international joined Sevilla from Nancy for a fee in the region of 5.4 million euros in January 2017. His contract expires in the summer of 2021. Lenglet has played 67 times for Sevilla since signing from Nancy, scoring four goals and creating one assist in that time. The 22-year-old has long been touted as one of France’s most promising young talents. Clement Lenglet has represented France at Under-16, Under-17, Under-18, Under-19, Under-20 and Under-21 level, winning 37 caps. The France international will be high in demand this summer, with him having enjoyed a sublime season for Sevilla this term. Ernesto Valverde is looking to shore up his defensive options and Sevilla’s Clement Lenglet happens to be a target. The France international is thought to perfectly fit the profile of defensive player Valverde wants to target in the summer transfer window. Real Madrid are apparently trailing Barcelona in the pursuit of Sevilla defender. Signing the 22-year-old in the summer transfer window would be a masterstroke from Ernesto Valverde. Will Lenglet be a Barcelona player soon? Only time will tell. Thanks to his great displays, he could be at a much bigger club than Sevilla this time next year.